Designer board games are getting quite popular these days, to the point where we’re starting to see quality digital adaptations of them. Though co-op board games are a popular genre (check out Marc’s Tabletop Co-op series), surprisingly few of these games have been adapted from their cardboard forms. 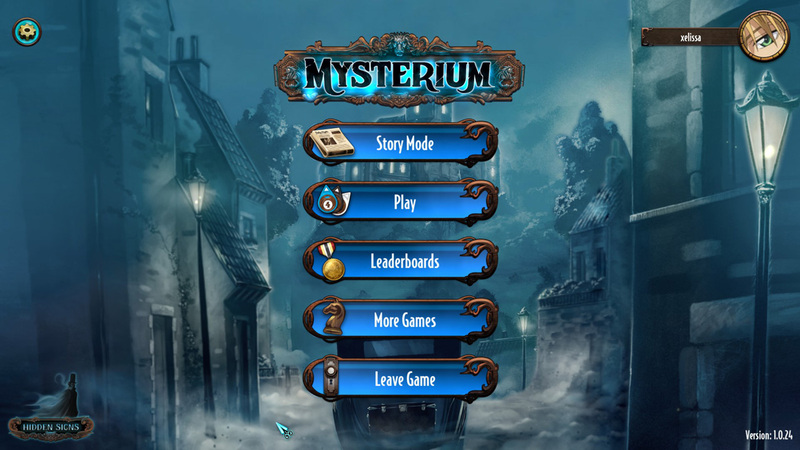 Mysterium bucks this trend, being a digital adaptation (on PC, Android, and iOS) of a popular cooperative board game by the same name that came out in 2015. 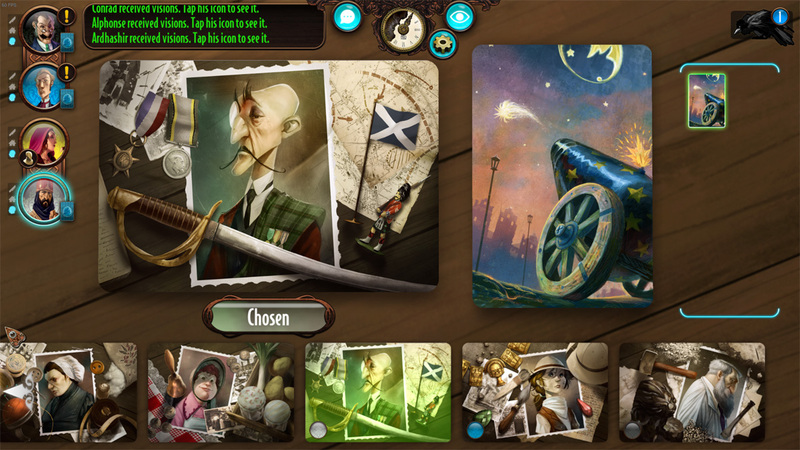 Mysterium is a turn-based game where a group of psychic detectives attempt to solve a cold murder case. Eschewing mundane investigation, they psychics do this by directly communing with the ghost of the murder victim. Unfortunately for our ghost and our psychics, it’s not as clear cut as the ghost telling them it was John in the Ballroom with the barstool. The ghost can only send them very strange visions to get them to identify certain suspects, locations, and items. A few different modes are available in the game: the standard game (online or solo), Blitz mode (4-6 players play as the psychics with an AI ghost player), and Story Mode (9 cases played solo only, with the first 4 composing the game’s tutorial). For this review, I’ll be concentrating on the standard online game mode since it’s the core of the game’s experience. 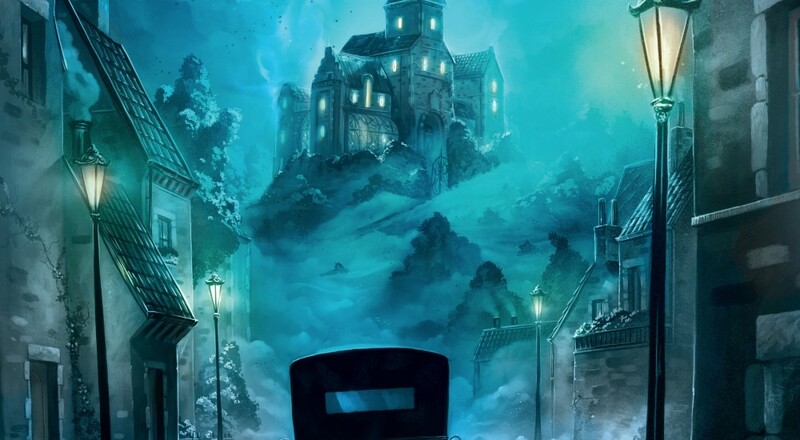 Mechanically, Mysterium supports 2-7 players, with one player taking the role of the ghost and the rest of the players taking the role of psychics. While all players win or lose as a team, the ghost and psychics have asymmetrical roles. Each psychic has a certain person, location, and item that the ghost is trying to get him or her to guess, and these do not overlap with any of the other psychics. They have seven rounds (thematically, each round is called an “hour”) to successfully identify their complete suspect portfolio, first starting with person, then moving onto location, and then finally onto item. At each step, there’s a common pool of people, locations, and items all of the players share (collectively referred to as Psychic cards), so if one psychic correctly guesses their location before another psychic, the second psychic has one less location to consider for their guess. The ghost (who in the narrative is a deceased man, so I’ll be using masculine pronouns for him) has a hidden board where he can see all the suspect portfolios assigned to each psychic. The only way he is permitted to communicate with the psychics is by giving them one or more vision cards as a clue to whatever card he is trying to get the psychic to guess. There are many ways he could approach this, such as using some particular object on the vision card or the color scheme to suggest a particular Psychic card. He also only has seven cards to work with at a time, only being able to draw new cards two different ways: drawing back up after he hands cards off as clues, or using one of his precious Crows to discard any number of cards from hand and draw back up. The game difficulty will dictate how many Crows the ghost gets in a game, ranging from one per round to one for the entire game. After the ghost distributes his selected vision cards to the psychics, a two-minute timer starts. Each psychic must select a suspect/location/object based on the clues by the end of this time, but their fellow psychics can aid them. This table-talk is much of the Mysterium experience, where the psychics can look at each other’s clues and puzzle out which cards the ghost is trying to get them to guess. It can also be helpful (or agonizing) to the ghost, because he gets to hear how everyone is interpreting his visions. Psychics can begin talking things out and looking at each other’s cards from the moment the first psychic is given cards, so they have a good deal longer than two minutes to do this. Page created in 1.6875 seconds.